«The goal of the energy efficiency fee is increasing energy efficiency and introducing energy management system’s control, not punish entrepreneurs that have complied with requirements of the law. With that, it is important to reconsider the established adoption term,» said chairman of Saeima’s Economic, Agricultural, Environmental and Regional Policy Committee Jānis Vitenbergs. In accordance with Energy Efficiency Law’s transition rules, the country’s large electricity consumers were supposed to adopt energy management system or expand their existing environment management system or perform an energy audit by 1 April 2018. If a company fails to comply within the stated period of time, they have to pay a specific energy efficiency fee. The annotation to the legislative draft explains that 86 entrepreneurs have failed to comply with requirements of the law in time. At the same time, they have informed Economy Ministry about reasons for the delay. To relieve those entrepreneurs from the energy efficiency fee, amendments to the law provide an extension for compliance with requirements until 15 May 2019. If an entrepreneur complies with requirements of the law within the extended period of time and pays the fee, Economy Ministry will be able to decide on repaying the fee from the state energy efficiency fund. 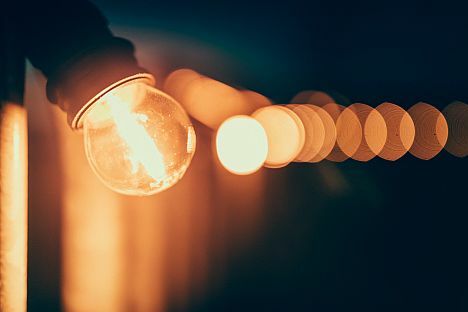 As for entrepreneurs who fail to comply with requirements within the extended period, they will have to pay the energy efficiency fee before mid-June 2019. For amendments to come to force, the Saeima has to approve them in the second and final reading.